Oh goodness this render is SUPER nostalgic. 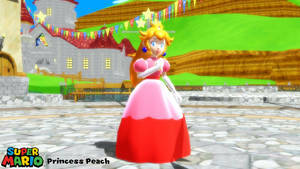 This pose and appearance depicted Peach more during the N64 era than any other. There was even a Nintendo drawing book that had a tutorial of how to draw her like this, rather than a normal render. I guess it's better than her MP1 render, though. 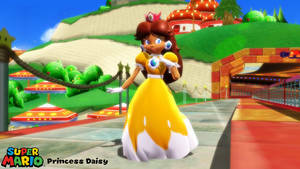 Her hair looked worse than it did in SMRPG, and her dress looked like a cookie with excessive frosting.